It's all too gritty and real with its depiction of terrorist activity and overwhelming surveillance. In the upcoming anime film Genocidal Organ, a homemade nuclear weapon destroys the Bosnian capital of Sarajevo, ushering in a new age of fear and surveillance across the world. In the film, the United States sacrifices privacy for safety, as its democracy is transformed into a surveillance state. A drop in crime is achieved at the expense of personal liberties, and people can’t even pay for pizza delivery without a fingerprint scan. And that’s but a single atrocity in a world full of them. While Americans relax under heightened security by the early 2020s, the country’s former enemies are inexplicably plagued by genocide and civil war. Military intelligence links these bizarre occurrences back to one American named John Paul, a terrorist who is somehow able to collapse the world system and dismantle entire governments in a matter of a few months. Is he running some shadowy operation sanctioned by the U.S., or is he one of those Joker-esque villains that just wants to “watch the world burn”? It’s up to Special Agent Clavis Shepherd and his squad of super soldiers to find and eliminate John Paul. Drugs and psychotherapy make them the perfect, obedient, and guiltless soldiers. They’re trying to restore world order, but it might already be too late. This is a spy thriller with the scope of Bourne or Mission Impossible, with the fate of the entire world at stake. Shepherd comes with his own personal baggage. He’s a detached kind of “hero” who is numb to the ethnic cleansing and genocide running rampant around the world. Sometimes he and his squad use fancy gear to gun down dozens of people at a time. At other times, he has to resort to more subversive, spy-like maneuvers, including wooing femme fatales. Big sacrifice. The special ops squad led by Clavis Shepherd. 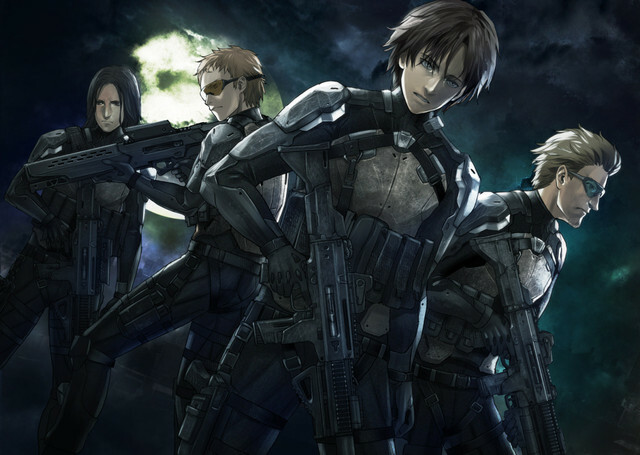 Genocidal Organ is an adaptation of Project Itoh’s debut novel of the same name. According to Funimation Films, the movie “takes an introspective look at a post-9/11 future, exploring freedom, security, and a bizarre shift in terrorism throughout the world.” It’s a cutting look at the shape of terror in the 21st century. Genocidal Organ is a meditation on the evolutionary purpose that genocide serves, a frightening look at how the extermination of the “other” is less about war crimes and more about self-preservation. It’s a hard look at how and why cultures commit genocide, and an even harder look at how American consumerism leads many to turn a blind eye. What dark secret does John Paul wield? What exactly is the titular “genocidal organ”? You’ll have to watch to find out, but you might not like what the film has to say about the nature of humanity in a changing world. Genocidal Organ being set a mere four years or so into our future helps make this anime film that much more timely, and that much more worth a watch when it hits theaters just a couple of weeks from now. Genocidal Organ opens in limited release in U.S. theaters on July 12 and 13. To find a list of participating theaters, click here.